We are proud to introduce the K-12 educators and school employees who have been selected as 2017-18 LifeChanger of the Year national award winners. These individuals have been chosen by our selection committee from more than 800 nominees nationwide. 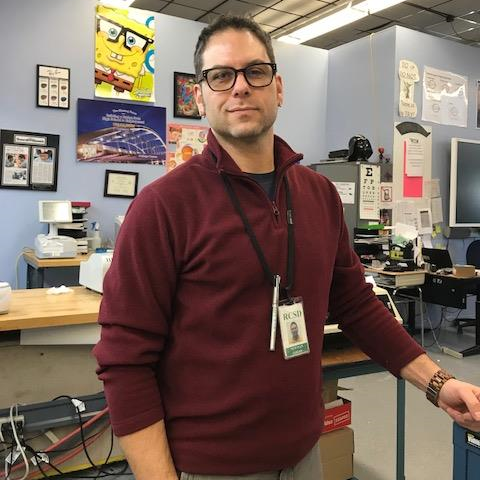 Growing up, Brian Copes struggled with school until a technology teacher changed his perspective. This experience played a role in influencing his teaching style. As an educator, he has found success incorporating both project-based learning and service learning into his instruction. As this year's Grand Prize Winner, Brian received $10,000 to be shared between a $5,000 individual award and a $5,000 donation to Thompson High School. These educators have received $5,000 to be shared between a $2,500 individual award and a $2,500 donation to their school or district. Additionally, they attended our National Awards Ceremony in Bermuda on May 17th, 2018. These ten educators have received $3,000 to be shared between a $1,500 individual award and a $1,500 donation to their school or district. This year's LifeChanger Spirit Award was given to David Collins in Gallatin, TN, for the incredible support he received from his community! He was given $5,000 to be shared between a $2,500 individual award and a $2,500 donation to his school. The inaugural Spotlight Award was given to Debra Santiago in Orlando, FL for her exemplary work as a school secretary and bookkeeper. She received $5,000 to be shared between a $2,500 individual award and a $2,500 donation to her school. During the course of the 2017-18 Program, we surprised 22 of our strongest LifeChangers with some recognition and goodies!